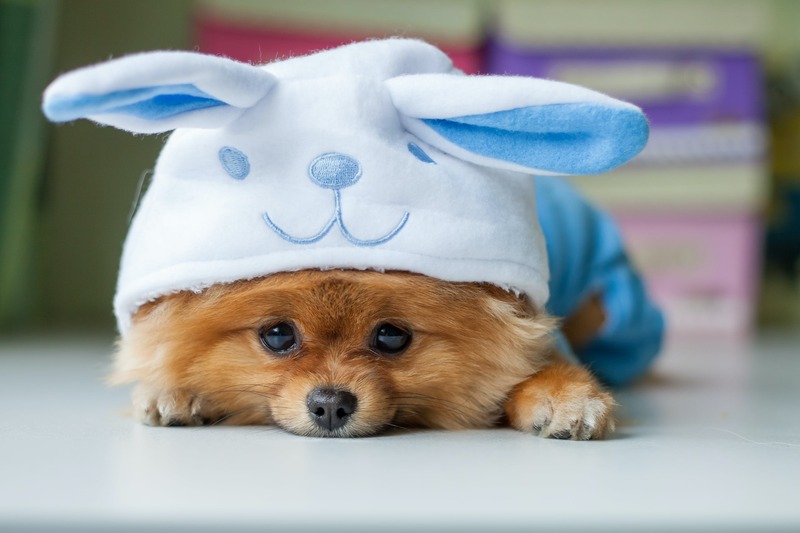 You may already know this but your playful Pomeranian wants to be part of the action on Halloween. They will be the first at the door when the trick or treaters ring the bell and the last one to go to bed at night after all the excitement. What that means is that you must dress up your Pomeranian for Halloween! Your little ball of fluff is going to rock these costumes thanks to their spunky attitude and need to have fun. This is the perfect holiday for your fun loving Pomeranian! It's a bird, it's a plane, it's Superpup! 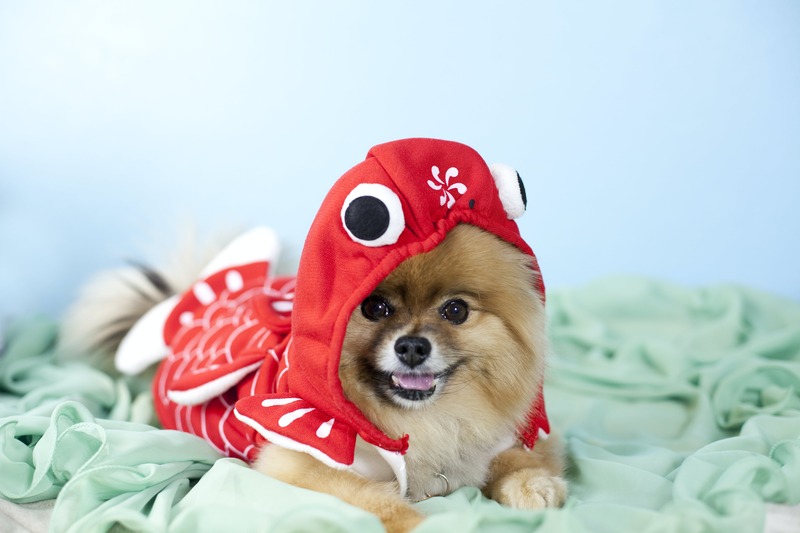 Your Pomeranian is here to save the day in this super Halloween Costume. With a Pomeranian's high energy, that bright red super hero cape is sure to be flying behind your dog as they run around in excitement on Halloween. "Howdy partner, y'all got any treats in your house? Dog treats, that is. Feel free to put a few right into my mouth!" Your western garbed Pomeranian will make the perfect cowboy, ready to round up the cattle and then relax with a bone. You might even catch them snoozing underneath their big cowboy hat! Arrrrr doggy! This costume is going to make your Pomeranian want to walk the plank...or just go for a walk around town on Halloween to show off their awesome brown pirate hat. 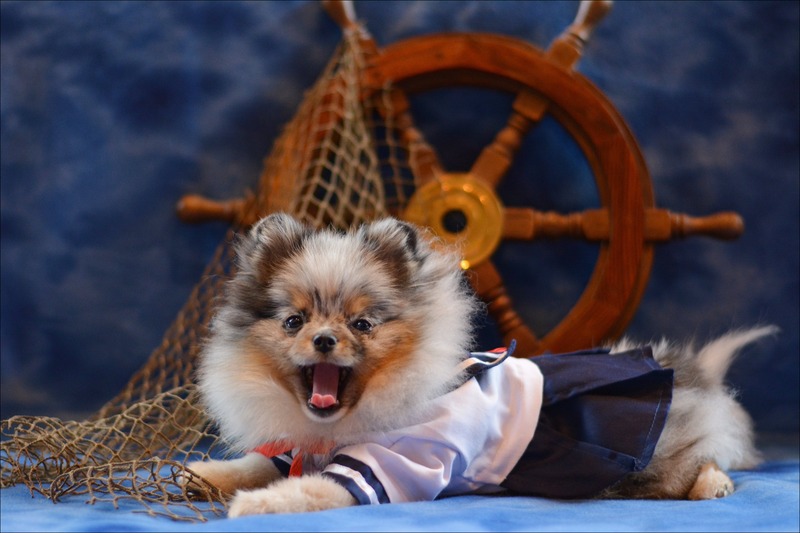 Your Pomeranian may get a little too into their costume and attempt to nip trick or treaters so keep that pirate on a short leash! Wings and a tutu will make your Pomeranian the most beautiful fairy on Halloween. Not every pup is suited to be a witch or monster, there need to be some friendly fairies out there too and your happy Pomeranian is the perfect dog for the job! Who let that Pomeranian out after lockdown! Get them back in their cell! Just try to catch your Pomeranian - after they are in their jail stripes costume and playing the part of jailbird, they may escape you forever! Is your Pomeranian not a fan of getting wet? Well, don't let a few raindrops ruin your pup's Halloween! Protect that fluffy coat with this rain ready costume! All the other dogs will be jealous of your dog's perfectly dry coat and rainbow-colored umbrella! Show off your Pomeranian's USA pride by dressing them as Uncle Sam. If your Pomeranian loves this stars and stripes costume, they are in luck as they can also wear it on the fourth of July or even Memorial Day! A multi-purpose costume is a total win! Stand at attention all pups! The Pomeranian soldier is here and they are ready for Halloween. Make your dog the happiest soldier on the planet with this perfect costume that will be comfortable and demand respect. You know who is in charge of your household - this little camouflaged soldier! Hip hip hooray! Your Pomeranian in pink and purple is a natural cheerleader with their constant upbeat attitude and their perfectly fluffed hairstyle. Maybe your Pomeranian will even be able to do some flips while they bark out a few cheers! Last year we let our daughter pick our Wilson's outfit. She loves Wilson and her stuffed bunny, so she wanted to combine the two. Wilson wasn't too thrilled but he's been a great sport about it! I love taking my dog abroad with me and his favorite place to go was on the French Rivera! Naturally, when I saw this sailor costume, I just couldn't resist! Phil swims like a fish so why not be a real one for the day!